The purpose of the Pennsylvania Grades 4–8 Core Assessment test is to assess whether the entry-level middle school teacher has the content knowledge that is important, necessary, and needed at time of entry to the profession in order to teach English, mathematics, social studies, and science. The purpose of the Pedagogy test is to assess whether the entry-level middle school teacher has the general pedagogical knowledge that is important, necessary, and needed at time of entry to the profession in order to teach English, mathematics, social studies, and science. The purpose of the English Language Arts and Social Studies test is to assess whether the entry-level middle school teacher has the content knowledge that is important, necessary, and needed at time of entry to the profession in order to teach English and social studies. The purpose of the Mathematics and Science test is to assess whether the entry-level middle school teacher has the content knowledge that is important, necessary, and needed at time of entry to the profession in order to teach mathematics and science. Scientific or four-function calculator use is permitted for the Mathematics and Science test. This test may contain some questions that will not count toward your score. 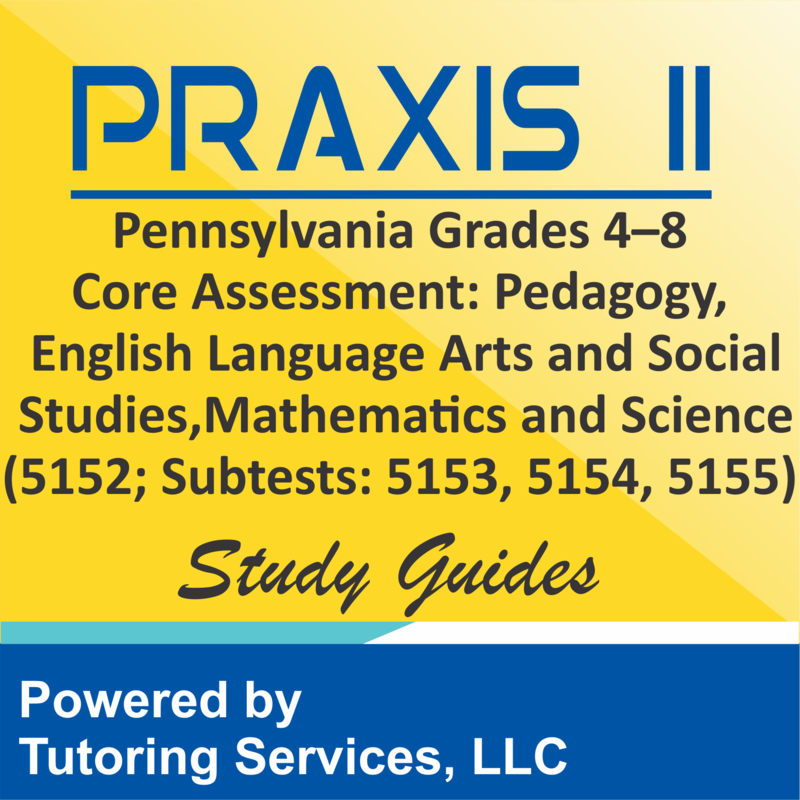 The Praxis II Pennsylvania Grades 4–8 Core Assessment (5152; Subtests: 5153, 5154, 5155) Examination is a compilation of three different subtests that tests an educator on the core subjects. The 210 questions are divided into three parts of 70 questions each that correspond to a different set of core subjects. Questions are of selected-response formats and examinees are given 210 hours to complete the exam. Each subtest has its own coverage that makes it similar to general Praxis II tests. In addition to study test prep tools that you find on StudyGuide.NET you can also get help from an online or local tutor. Tutoring Services, LLC is helping educators and future teachers get help from other subject matter experts and help educators prepare for Praxis II exam. TutoringServices.com offers flexibility for Michigan state educators to find a tutor, locally or online, contact tutor and get help. This is a recommend option for students, and best of all site doesn't even charge any tutoring agency comission fee like other agencies do. So what are you waiting for? Find a Tutor today! On the bottom part of this page you will see lists of mttc test study guides, to help you review and prepare for your examination. Change the default menu for Show into desired number of items you wanted to view. 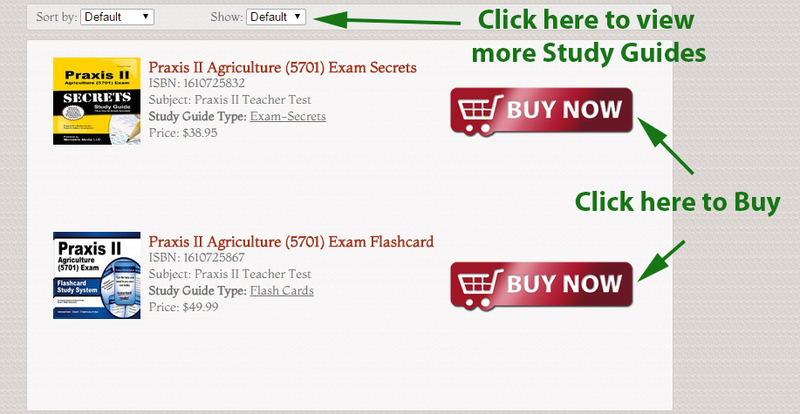 Also along side with each study guides there is a button called “Buy Now”, click it for each reviewer you wanted to obtain. SELECT a.id, a.book_title, a.description, a.ad_image, a.image_tag, a.isbn, a.asking_price, a.book_condition, a.book_store_url, a.sg_type, a.url_path, c.subject_id, c.subject FROM tbl_used_book as a, tbl_booksubject_description as b, tbl_level_subjects as c WHERE a.exam_code = "praxis-ii-pennslyvania-grades-4-8-core-assessment-examination-preparation-info" AND a.subject_id = b.subject_id AND a.subject_id = c.subject_id AND a.is_available = "1"